Join us in Slavic Village for the Polish Constitution Day Parade! 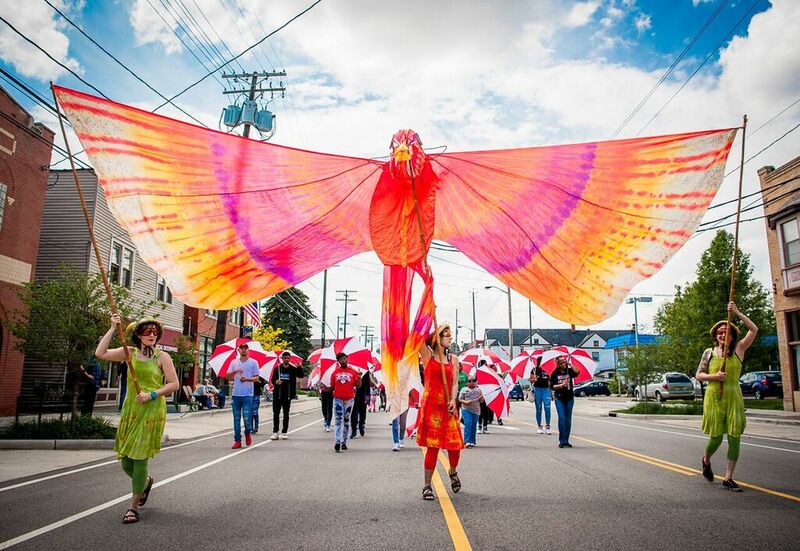 When an especially colorful Cleveland Polish Constitution Day Parade steps off in Slavic Village on Sunday April 29th at 1:30pm, the occasion will be especially joyful. Once the main street of Northeast Ohio’s largest Polish community, Fleet Ave is now transformed into the First Complete and Green Street in Cleveland. Clevelanders will honor it in much the same way as their ancestors honored it upon their arrival as immigrants to America in the late Nineteenth Century: with music, religious liturgies, cultural programs, street performances and sociability. The Cleveland Polish Constitution Celebration is for everyone. The planning committee invites individuals and organizations to be part of this remarkable Cleveland event–as volunteers, donors, paraders, and visitors. For more information, call 216.469.4806. Find More Event Info Here!